The race for Missouri Governor comes down to a Democrat turned Republican and a Republican turned Democrat. 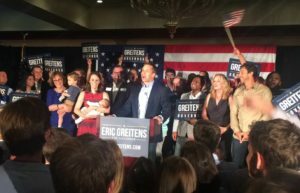 Republican Eric Greitens will take on Democrat Chris Koster in November’s general election. Republicans John Brunner and former House Speaker Catherine Hanaway conceded Tuesday night. That left Greitens and Lt. Governor Peter Kinder on the Republican ticket. Greitens, a former Navy SEAL, ended the night with a strong lead over Kinder. This is Greitens’ first run for political office. He has touted being an outsider, saying corruption in Jefferson City must stop. Koster claimed victory early on Tuesday evening, by overwhelmingly defeating Democrats Charles Wheeler, Eric Morrison and Leonard Steinman. 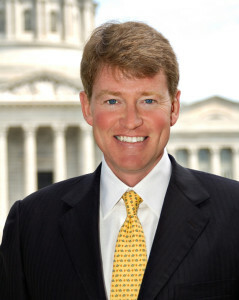 Koster, who is Attorney General, says fiscal responsibility, strengthening gun rights and funding rural schools and rural hospitals are some of his priorities if he becomes Governor. Governor Jay Nixon (D) can’t seek re-election because of term limits.